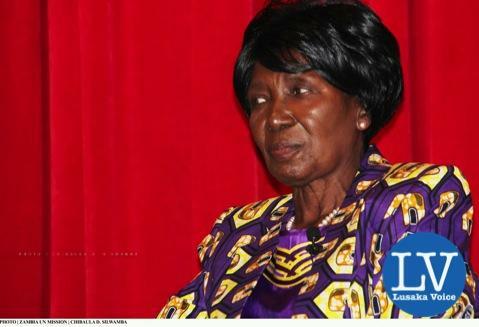 Vice President Inonge Wina is saddened by the death of opposition United Party for National Development (UPND) Shekela Ward Councilor in Nalolo Constituency Mulele Mukoma. Mr Mukoma died in Senanga District Hospital after a short illness yesterday. In her message of condolences made available to ZANIS by Nalolo District Commissioner Mundia Samwene, Mrs Wina who is also Nalolo Member of Parliament said the late councilor Mukoma was a gallant man who ably represented the people of Shekela ward. The Vice President described the late Councilor Mukoma as a selfless man who executed his duties in a brave manner and served his local community well as it was seen in the two terms he had served. The Vice President has since offered her heartfelt condolences to the Mukoma family and the people of Shekela ward on the loss of the civic leader, adding that the services he provided will be deeply missed. The Vice President has called on the people of Nalolo Constituency to pray to the almighty God to grant the bereaved family and people of Shekela ward comfort and strength during this difficult time. The funeral of Councilor Mukoma is being held at his Mongu residence in Tungi area and burial arrangements will be announced later.